So far this winter has been a bit disappointing for us in terms of snow accumulation. We have had a little snow, but not enough to truly get outside and have fun sledding and playing outside. Just cold enough (and some days icy), to be better off inside where it is warm. As the forecast for this weekend and next week includes the potential for some significant snowfall in our area, I thought it would be fun to do a snowflake activity with my 4th grade friends. We started off by watching a read aloud of the book Snowflake Bentley by Jacqueline Briggs Martin. Kids loved hearing the story of how he began working with snowflakes and how it took him pretty much a lifetime to accomplish the work that he completed. We talked about how snowflakes are each unique, but all have 6 branches. I showed a small group of students who finished their designs first how to use the pens. This allowed me to work with students who were ready to move on in the project and allow others to finish designing. These students ended up teaching many of the other partner pairs how to use them, so it freed me up for troubleshooting and observing! I had the students set the pens to 170 degrees on the slowest extrusion setting. We discussed safety and not touching the tip of the pen. I was going for a "Zero Burn Day" with the pens and it was successful! Using clipboards and scraps of lamination. The students could clip their drawings to the clipboards and then clip the lamination on top so they could trace their drawings with the 3D pens and not worry about burning the paper. Students picked up on using the pens pretty quickly and did some great problem solving and helping one another. We decided to use them again next week and I can't wait to see what the students come up with a little more practice! This past October, I attended and did graphic recording for the ISTE No Fear Coding Lab. It was an amazing experience doing graphic recording, but was also re-energizing for ways that Computer Science and Coding can be integrated into content to help students be critical thinkers and problem solvers. It got me thinking about how I can refocus some of the activities I do with teachers and students to focus on the elements of computational thinking - decomposition (breaking down a problem into smaller parts), pattern recognition (identifying similarities, differences, and patterns), abstraction (identify important information and filtering out unnecessary information), and algorithm design (identify and organize steps to solve a problem) (Source: Exploring Computational Thinking via the Backpack Redesign Challenge). So, why not code? There are so many great reasons to teach students coding! One of the teachers I work with on a weekly basis for STEAM activities had shared that her students had found code.org on her website and she was teaching them how to access and use resources on her site and they loved it. I think I had this in the back of my mind after I returned from the ISTE conference and knew that I had to do something - the stars were aligned too perfectly! ​As I had determined Wall-E would be the theme for the day (other than the big word of ALGORITHM, which we said computers understand algorithms, not directions), why not have fun with a little room transformation? Some black lights, laser lights, rope lights, and other decor can quickly and easily change the look of the classroom for a dramatic effect. Plus, I found a cute little stuffed Wall-E and Eve on Amazon that I just couldn't resist! I always second guess myself if a classroom transformation is worth the time, energy, and potential distractions from students. This was simple with pretty much just additional lights (2 black lights, a small laser light, and 1 rope light string), but it is amazing the effect that it has on students. Don't get me wrong, there definitely is a few minutes of the wow-factor and exploration (even with just lights! ), but it definitely sets the mood for the day, activities, and learning. To start off the day, I wanted the students to really understand that computers NEED directions to do anything. Even though it might seem like we are typing letters and numbers on the keyboard, we are actually giving a computer directions to make a letter or number display on the screen. Each click and button pressed corresponds to a set of directions that tell the computer what to do. To really drive this point home on following directions, I asked the students to write directions about how to brush their teeth. At first they were a little confused because they thought we were doing a hands-on activity and not doing writing. They played along with me and then the teacher selected a student to read his directions to the district nurse who came by to see what they were doing (she helped me get toothbrushes and toothpaste for the activity) and she did an AWESOME job acting like a robot and carrying out his directions in front of the whole class. The students quickly realized that they needed detailed instructions and started adding more steps to their own directions even before the demonstration was done. Then we had the students read their directions to their partner and carry out the directions. This was pretty entertaining to watch! Students had a blast and I heard from several students that they never thought they would be brushing their teeth at school that day and how funny that was to them. Talk about an activity that will tell a story when they leave the building! Enough can't be said for the amazing people who made this activity happen! Dental South - Dr. Peter Garchow D.D.S. and his team made an amazing donation ​of toothpaste for students to use (and take home) for this activity. The school Social Worker (Sydney Hanlon from KSSN), who was able to help us acquire toothbrushes to use for the activity. Our amazing district nurse Becky Quigley from Spectrum Health who helped me immensely in acquiring the donations. Once we had established that computers need directions and only follow the ones they are given, we talked about the language that computers understand and read when they are given those directions. <sarcasm> I know that the world of binary is very riveting, so talking about ones and zeros would get students super excited. </sarcasm> I thought that if I was able to help teach them that each character is read as a binary number, they would understand that even small words end up having long code behind them (once the computer interprets the code). To help them understand how a code for a word might appear to a computer, we coded our names. Students had to identify the letters of their name, find the corresponding binary code, and then determine how many ones and zeros were in each binary letter string. Once they figured how many ones and zeros were needed for their name, they could begin assembling their binary name necklace. At first I think they seemed a little overwhelmed by the worksheet, but quickly realized that they could quickly build their code and do the necessary math to find out how many beads they would need. They were so proud of their necklaces and were excited to share what they did with their families. Prior to our day of code, I put my feelers out there for anyone who works with coding and would be interested in sharing what they do with 4th graders. Marc Petz was highly-recommended from other EdTechs in my county (as he teaches 3D Animation and Game Design at our county Tech Center). The kids were totally captivated by what he had to share (he hooked them with Epic Games and Fortnite - what 4th grader wouldn't be hooked?!) about how he uses coding as well as projects he is doing with his own students (their autism app looks amazing!). Marc was awesome in how he shared and engaged with the kids and was even so kind to share some 3D printed sharks and coins that he and his students had printed. Students had never thought that there was coding that was necessary to 3D print something! I am so grateful for my PLN and their suggestions! Having Marc as a guest speaker was an AMAZING part of our day and gave students a fresh face with fresh ideas for how coding is embedded in the world around them. Thank you, Marc! Out of all the activities for the day, this one was probably the most challenging and tested their grit level to the extreme. The teacher shared some of the math concepts they were reviewing, so I created task cards with a variety of those types of problems. Students had to first solve the problem and then find the corresponding correct answer from a multiple choice list on their task card. Then (based on their answer), they placed a green start circle and a red end circle on their coordinate graphing grid. This set up where they would have to begin their coding. At the top of each coordinate graphing grid, there were instructions to place other pieces on the grid. These represented the roadblocks that coders encounter as they are working on a problem. They then had to code their way from the start circle to the end circle using 3D printed coding pieces. I knew that this activity had a lot of steps and would challenge them, but I wanted to incorporate their math content into an activity to show them that coding is not always separate from everything else that they do. The struggle was definitely real, but once some groups (of two) picked up on how this activity worked, they started making some progress forward. The part about being able to code around the pieces was the incentive to help them persevere through the math problems. After a couple of activities, I knew we would be ready for a little break. I found a perfect video on GoNoodle that would fit perfectly with our coding theme - Run the Red Carpet! The kids loved it, loved getting up and moving around, and as teachers, I think we needed the brain break as much as the students! Our Day of Code ended up being many unplgugged activities due to testing that was going on in the building. I am so glad so many unplugged coding activities in my back pocket that would really help students understand the basics of computational thinking and coding. Our semi-plugged activity that we did was using Ozobots to "Code the Red Carpet." The last activity we had completed was our "Run the Red Carpet" brain break, so now it was time to introduce the robots and let them "Code the Red Carpet!" The kiddos were SO EXCITED about this! We gave them some scrap paper to play around with the different Ozobot codes before moving their big code to a long piece of paper. They worked really well as a group to come up with a code and were so excited to see what other groups had created. At one point, a student placed their groups' Ozobot on another groups' red carpet while they were demonstrating and their minds were blown that multiple Ozobots could work on the same line of code at the same time. It was a great moment as a teacher to see when their ideas come together into something even bigger and better than their individual thoughts and ideas. This was the final activity that I planned for the day, but time got away from us and we never actually were able to code a dance party. I thought I would still share the resources I had prepped in case anyone else would find them useful! For this activity, I was simply going to have them create a "code" for a partner that started with "START" and "ended" with "LOOP." The teacher would play a song and the students would have to dance out the code. Then the students would switch positions and the coder would dance and the dancer would code. This activity was going to be the final activity that really demonstrated the executing of an ALGORITHM and how computers do what they are told, which is where coding comes into play! I love creating and sharing things with others as I know how much I enjoy when I can find something for free that I can use right away with students. This is the main thing that motivates me to share my own creations for free on my site here. I do ask that if you use what I share and really like it, please consider making a donation to my DonorsChoose or Amazon Wish List. I choose to do it this way as everything that is donated goes right into the hands of the students I work with, not my pocket. 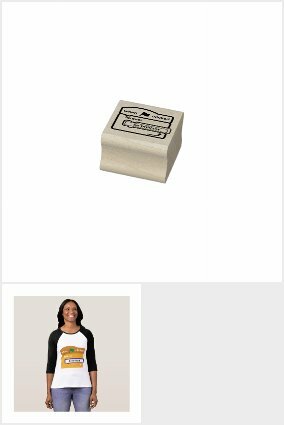 Also, if you are interested in the hand stamp I used or my shirt, feel free to check out my Zazzle store. The students noticed right away that I was wearing a coding shirt and thought it was so cool because it looked like the coding that they had done on code.org. They loved the hand stamp even more because it looked just like my shirt and I used my grape smelling stamp pad. I would consider our Day of Code/Hour of Code to be a success! As our Seniors are nearing the end of their Capstone experience, one of the final things they need to do is to determine how they will present their career exploration and findings to their judges. Each student has a folding table to use for their presentation unless more space/resources are needed. In the past, we have had some pretty amazing tablescapes! To help them brainstorm ideas and keep their thoughts organized, I put together a simple handout (below). I also included a link to a Pinterest board I created for them to peruse for inspiration. The students were all at different planning points, so most of my time was spent having deeper conversations about ideas for hands-on activities, ways to make a trifold display "pop", and overall how to leave an impression on their judges. It always amazes me at the creative ideas the students have and how they have tied those ideas to potential careers. Many students used the little tables to help visualize the ideas in their heads. And something that was even more exciting was seeing the students look at the tables and then think about how 3D printed objects could complement their tablescapes. I can't wait to see what they look like the night of the Capstone Exhibition!